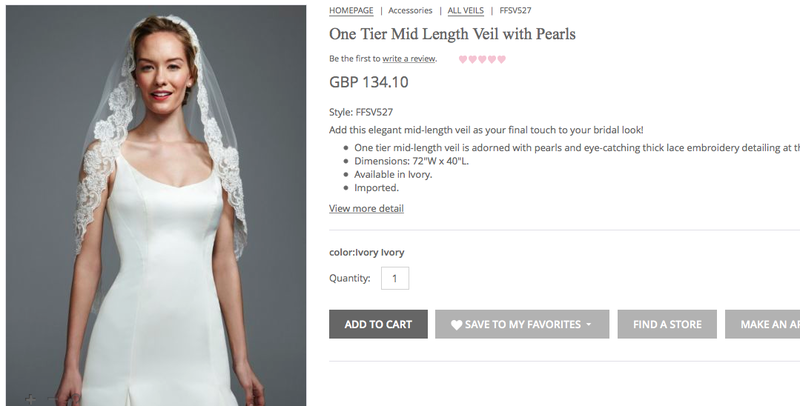 Wedding veils are a special piece of clothing. Patriarchal connotations aside, it is one of the things that marked me as a bride in my mind when I got married. 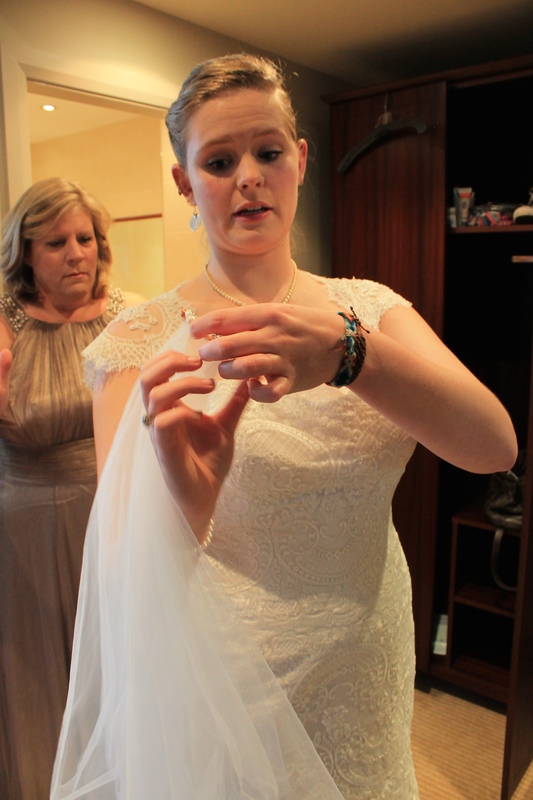 I love the pictures of me putting it on before the ceremony. 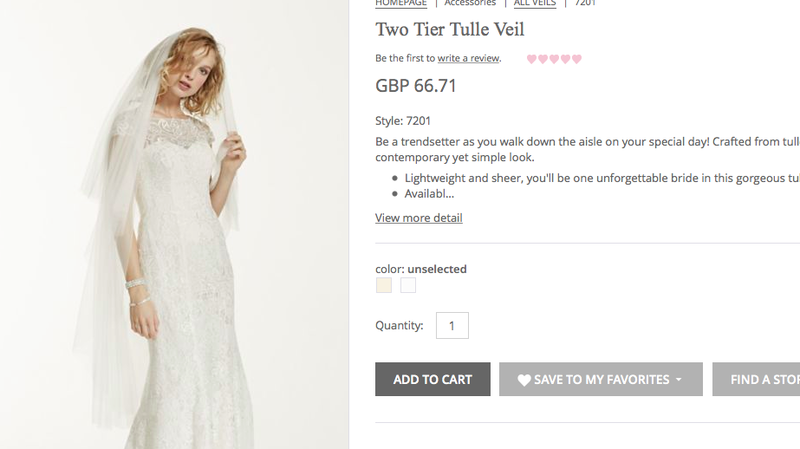 Veils are horrifically overpriced. The ones I was offered while trying on my dress were all over $120. A quick scan of the major outlets that I considered, and these two come into (pricey) focus. The most affordable one, at 66 GBP ($100). Others that were similar to mine come in at nearly $200, inexplicably. You might think, as I did, that going the Etsy route might be a cost-saver. You would be mostly wrong. How is this 81 GBP, exactly? Courtesy of gebridal. 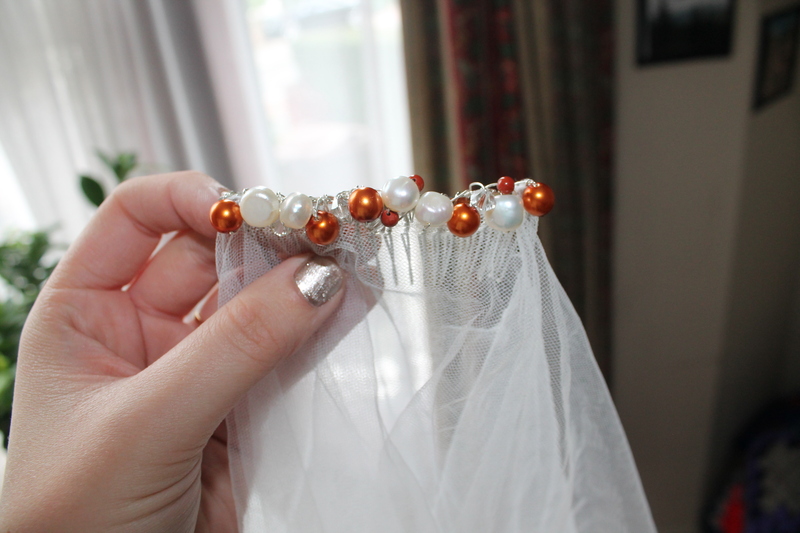 I dreamed of making my own wedding veil for years. I used to wrap myself in my great-grandmothers’ table cloths, imagining how cool they would look as a homemade cathedral veil. I wanted to make my own, and this is how I went about it. Decide what length you would like, and the style. My veil is a fingertip veil with a blusher to go over the face. Research your fabric options. Keep in mind that vintage fabrics will cost more. ALWAYS check the measurements with a measuring tape at home before ordering. Order a comb of a medium size as well. When your fabric arrives, play with it. For several days/weeks. Don’t cut it until you are sure of what style you’d like. Lace is hard. 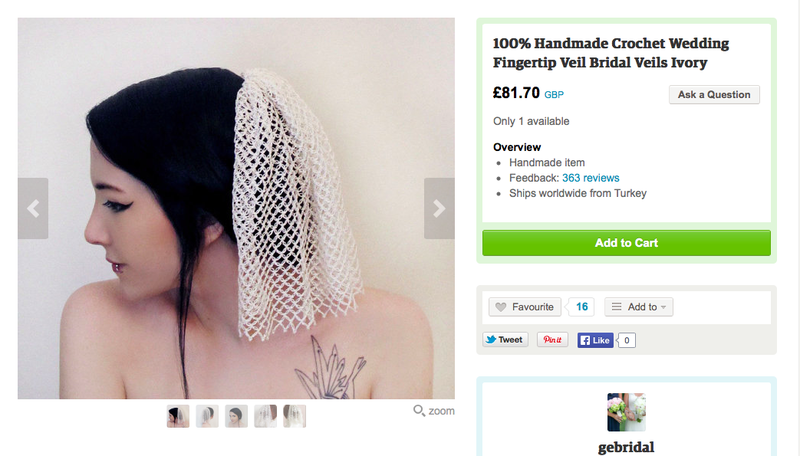 I originally wanted a mantilla-like veil. I decided the lace weighed it down too much and skipped it. 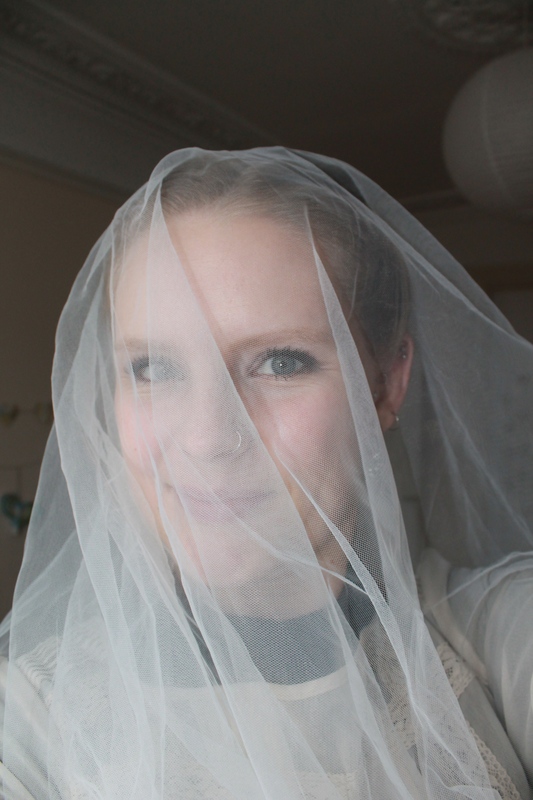 If you want a mantilla-veil DIY tutorial, check out this one! Decide how to attach the veil. I used metal wire and wrapped it around the comb with freshwater pearls and beads, but plain string could work just as well. Make certain that the attachment will be strong. Sit down in the afternoon and attach the veil. Try it one with the comb and make sure you like the placement. Close up of the attachment. If you’re happy with it, reinforce the attachment site with another round of wire/string. Be happy with your wedding veil! Playing with the veil in late October. My whole veil cost less than 20 GBP to make, and it was exactly what I wanted. If you only do one DIY project, let this be it!